Bodily Injury Liability –This covers the damage to other people in the event that you are responsible for the accident. Personal Injury Protection –Also known as PIP, this covers your injuries. With this coverage, you will be protected whether you are at fault or not. Property Damage Liability – Covers damage to property, like a building or a fence, incurred by you or another person driving your car. Comprehensive – Protects the insured vehicle from theft, vandalism and natural disaster. Collision Coverage – Covers the damage to your property in the event of a collision, be it a car or object. Being in an accident can be challenging enough, but even more so if you have been hit by an uninsured driver. It is recommended that you consider purchasing uninsured motorist coverage to protect yourself. 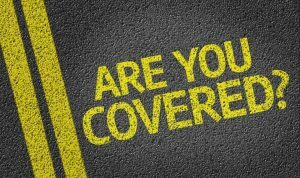 If you purchase uninsured motorist coverage, your own insurance can provide coverage for your damages and make up for the lack of coverage from the at-fault party. Liability is the term used for the at fault driver. Legally, the driver that was responsible for causing the accident is liable for damages. There are several ways insurance companies determine which driver is at fault. Police Reports – The primary document in determining liability. A police officer will file an incident report based on their observations at the scene of the accident. Attaining a copy of this document is important when filing an insurance claim, as it may corroborate your case. Traffic Light Photos – More and more, traffic accidents are being photographed and documented at stop lights, providing substantial evidence in determining liability. Type of Accident – Many types of accidents will indicate fault on their own. Rear-ends, for example are the fault of the rear driver in almost all cases. If a car was T-boned, that can be a clear indication of running a red light. Many accidents are not caused by driver malfunction, and the fault of the accident may be due to poorly constructed roads or a manufacturing error. Examples of manufacturing liability include faulty tires and defective parts. An embankment could be unmarked, or a traffic control officer may have misdirected traffic. If you feel the cause of your accident is due to the negligence of the liable party don’t hesitate to contact a Tampa personal injury attorney today. Dealing with an accident can be a traumatic time as one deals with physical pain and suffering. Understanding car insurance and the legal issues surrounding insurance can help get you the compensation you deserve, make sure you have the proper insurance, and help you build a case should you find yourself needing an attorney.